If you're looking for a quick treat or to pick up delicious and tasty baked goods for your friends or family, look no future than Baked Bliss on North 15th Street in Waco, Texas. 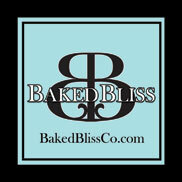 Baked Bliss offers a large variety of baked goods, including scones, cupcakes, cookies, pies and custom designed cakes. Waco baker Kim Cutler will work with you on a beautifully decorated cake for any age birthday, celebration, wedding, graduation and more. Pick up a coffee or iced tea at Baked Bliss which now serves breakfast and lunch. Breakfast items include savory bread pudding, empanadas and crustless quiche, and lunch items such as salad, soups, sides and more. No order would be complete with a deliciously made baked good. Cakes and cupcakes: Italian Cream, Chocolate Cream Cheese, Chocolate Ganache Cake, Me Maw's Kentucky Butter, White on White, Lemon Cream, Ebony and Ivory and Strawberries N’Cream. Longtime Waco resident Kim Cutler has served the Waco area since 1992 with a passion for cooking, her faith and community. Kim started baking out of her house in 2012, inviting people over to purchase baked goods, but the business has grown and she has expanded her space. Baked Bliss mission is to serve you quality baked goods with a side of God’s love and care each time you come. For more information about the menu and catering - call, email or visit the store. A menu can be found online at the Baked Bliss website or Facebook.